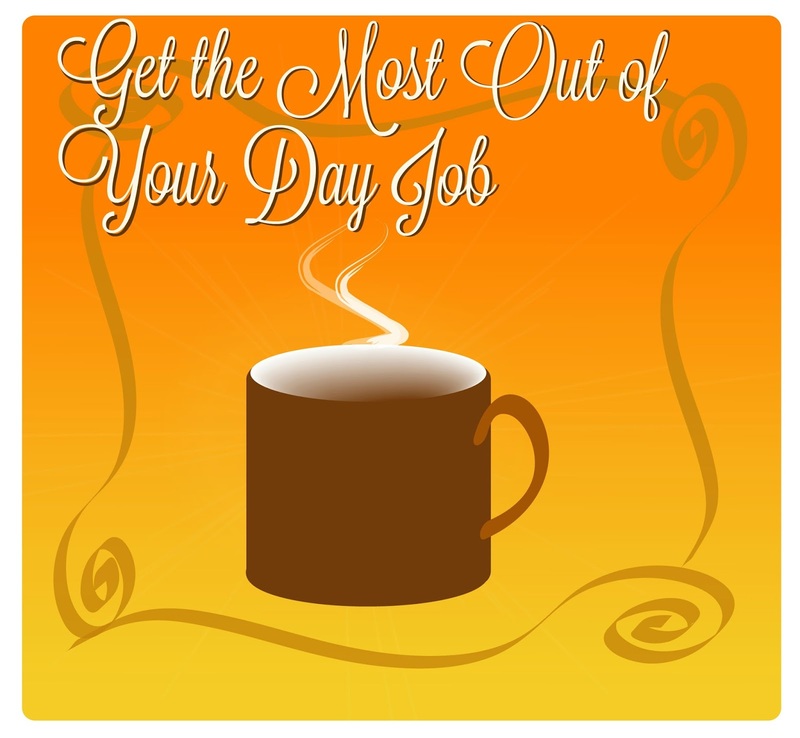 Get the Most Out of Your Day Job-Without Adding More Hours! Whether you hold a job as a plumber, retail sales representative, office clerk, construction worker or homemaker (stay at home mom) make the most out of your time on the job. This position may not be your “life’s work” which is related to your core gifts and passions, yet you don’t want to squander your time on the job giving less than your best. The following tips will show you how to gain more experience and satisfaction with your day job, without adding additional hours to your work week. If your showing up to work each day, why not make the most of every day! Take the opportunity to expand your work experience beyond your job title. Once you’ve learned the ropes of the job which is expected of you, see if you can deliver above and beyond. Thinking independently of ways you can help your company or customer. If your a receptionist and there is no other work to do, see if the office needs organization. Always be asking yourself, “What can I do to go beyond what is expected of me, how can I take initiative?” It’s about “thinking outside of the box” to creatively solve problems for your company. If your office offers reading material to learn more about the company, spend a few extra minutes each week in study to give you an edge. If your a career homemaker, run your home as you would your own business. Be disciplined in keeping breaks short and minimize distractions. Respect your company and yourself by avoiding time wasters. You may not be the fastest typist or electrician, yet you have control over your focus. Remember the story of the tortoise and the hare? The turtle though not a gifted in speed was diligent and steady on the course. The hare was fast, yet he idled away his time. Who won the race? The tortoise. Today’s time wasters are the ubiquitous mobile devices with access to texting and social networks. Or small talk at the water cooler during work time. You might think, “That’s OK the boss is out of the office”. Your co-workers see you however. If you work from home as a freelancer, you need to stay focused as your family or neighbors see you. See all of your actions as building your professional reputation. Avoid office gossip. Stay positive. Assume all that you say to another co-worker could be repeated. If you never saw this in the past you can correct the situation by rebuilding your work ethic reputation starting today! Group tasks into concentrated chunks of time. Set a timer for 30 minutes and focus on a particular task. Phone calls, document creation, stocking an area of the store, or brain storming. Try to avoid switching tasks until the project is complete. If you handle the phones in your office, take the call then return to your project. Focused activity yields maximum results. In doing this very task you’ll gain productivity by eliminating time wasters. Keep your axe sharp by a getting a full-nights sleep and taking regular scheduled breaks. Eating lunch in a park while observing nature. Have a notebook ready to jot down creative ideas. Walking around the urban city as you eat your lunch. You can keep a wide brimmed hat in your car or desk for this purpose. Writing on your laptop at a coffee shop working on a blog post or book. Reading a trade journal or motivation book which will provide you with inspiration. Make life-long continual learning a habit. Most people stop reading literature and developing skills after high school or college. You don’t need to invest ten of thousands on a college education to master the discipline of self guided study. If you begin to immerse yourself in a field you can learn just as much, if not more, than one can with a four year degree. Make life-long learning and skill development apart of your lifestyle and you will have the knowledge of one with multiple degree’s. Hands on experience being even more valuable. James Altucher’s, 40 Alternatives to College will get you thinking of creative ways to replace the extreme financial debt associated with formal education with a life of continual learning and experience. When you have the mindset of one who is seeking to expand their skill-set you will seek opportunities to take on new tasks at your day job. In doing so you will have a greater sense of pride and purpose in what many may see as mundane. Don’t sit on the side lines during your work hours. Give your best to every moment and in years to come you will see your resume expand in unexpected ways while boosting your professional reputation.